This Cauliflower Soup is one of the best recipes to make with fresh cauliflower! 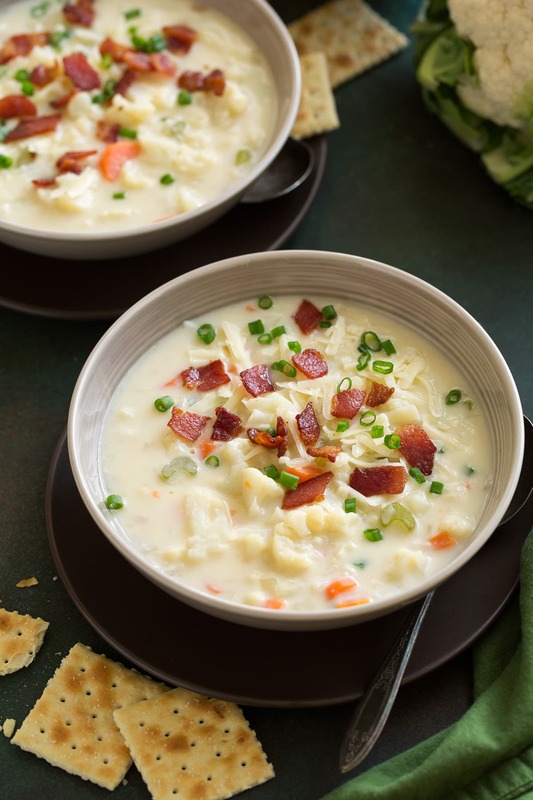 It's rich and creamy, brimming with veggies and it has the perfect balance of flavors (bring on the cheddar and bacon!). It's just one of those comforting recipes you'll want to make time and time again. This soup is actually very similar to a potato soup. Before telling my kids what kind of soup it was, my daughter was eating it and asked if there were potatoes in it, so it must be close. I love how the flavor of this soup is simple yet so satisfying. Nothing fancy here just creamy, cheesy homestyle soup!